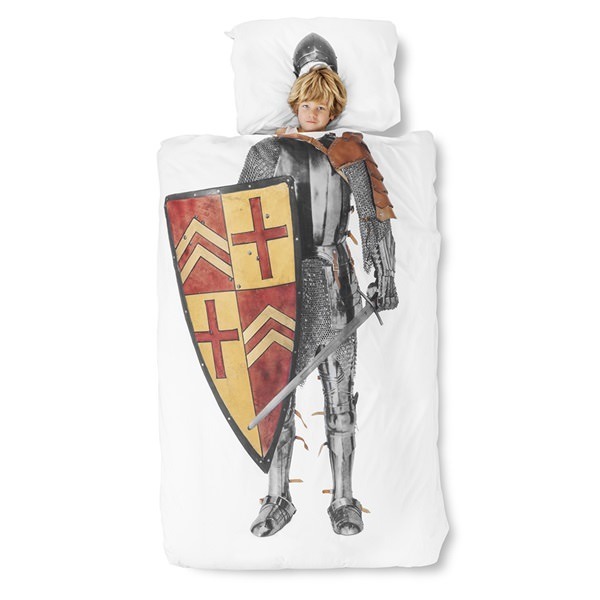 If you want to celebrate our rich English heritage while giving your child the courage to charge at life head on, look no further than our wonderful range of knight-themed bedrooms, in time for St. George’s Day. 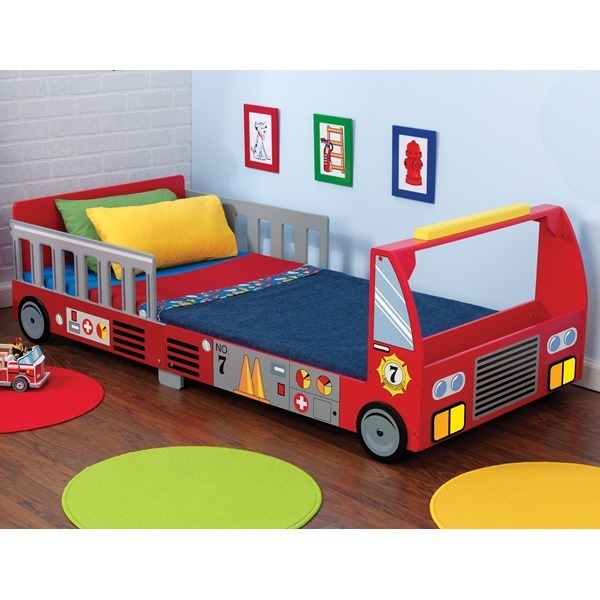 Kids rule the kingdom within their very own bedroom, so invest in a sleeper bed that will help your knight in shining armour gets a good night’s sleep. 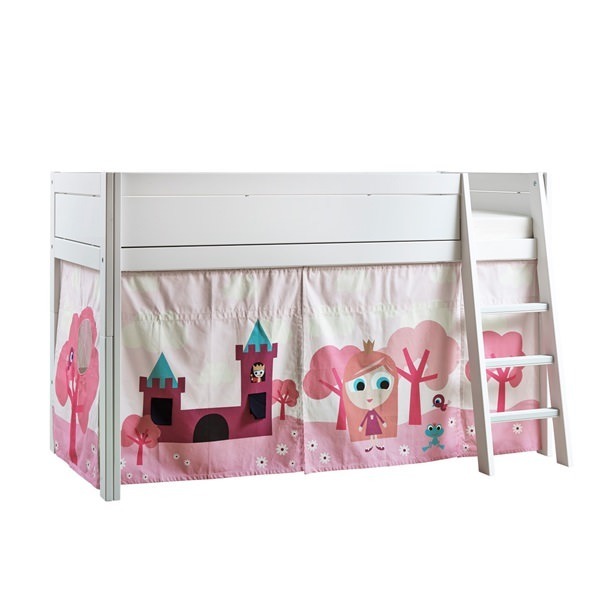 Top of your list should be the Princess Girls (or Boys) Cabin Bed or Knights Boys Cabin Bed, (for Girls too of course!) guaranteed to make your tykes feel like champions every day. 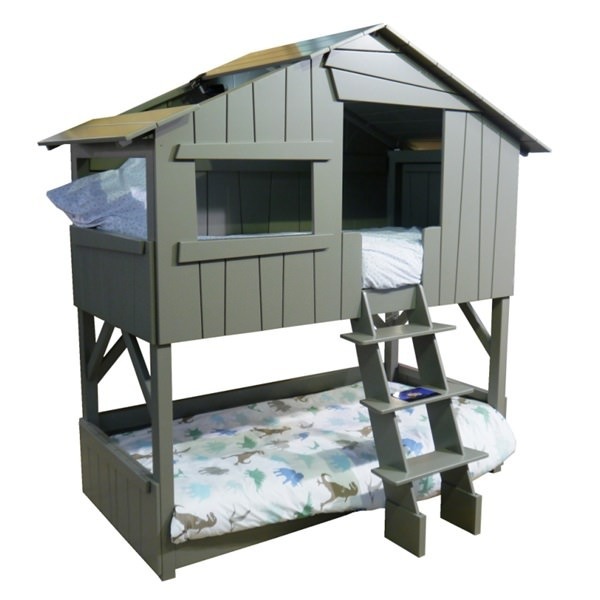 Aside from its hand-crafted pine finish (made in Denmark, no less), it comes with a lower den area cocooning you from the outside world. Whilst your brave tyke may feel invincible, it’s important to balance fun with safety. 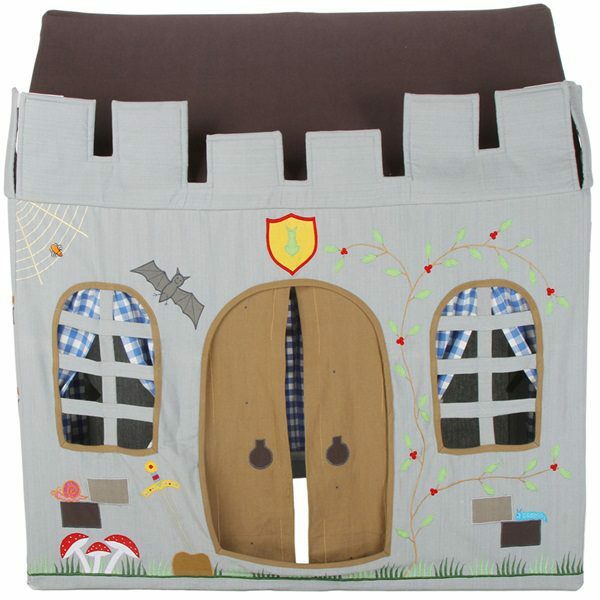 So maximise the former without compromising on the latter, with Win Green’s Knights Castle Playhouse, a perfect fort for roleplay, relaxing or messing around in the garden. 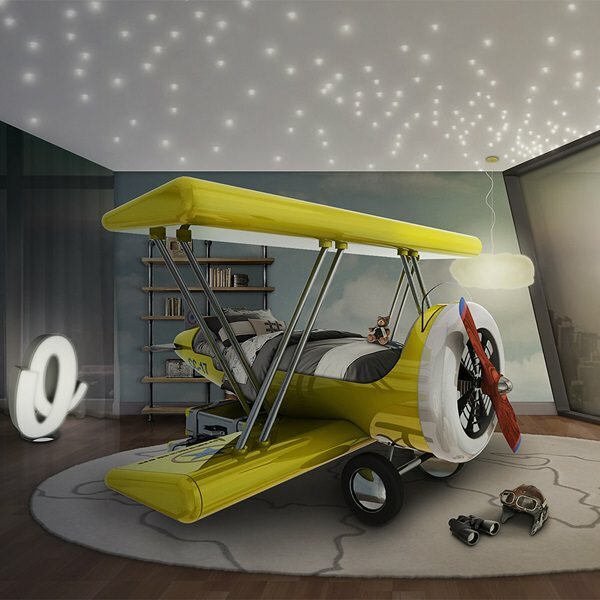 Super easy to assemble, it’s an eye-catching piece of equipment certain to encourage those legendary imaginations. Of course, a real knight can’t step out of the house without his or her suit of armour. 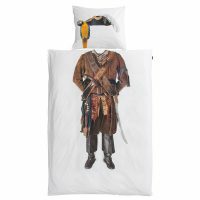 Thanks to Snurk’s Children’s Knight Duvet Bedding Set, it’s possible to look like a hero, without even leaving the bed (if only real life was like that!). This quality cotton print places kids in the shoes of a medieval warrior, with an authentic design that will transport any would-be errant back to lands they may only have dreamt of before. But does a knight only care about looking good? No! They are careful and tidy when missioning to and fro, and discipline is as important as a trusty lance in any situation. 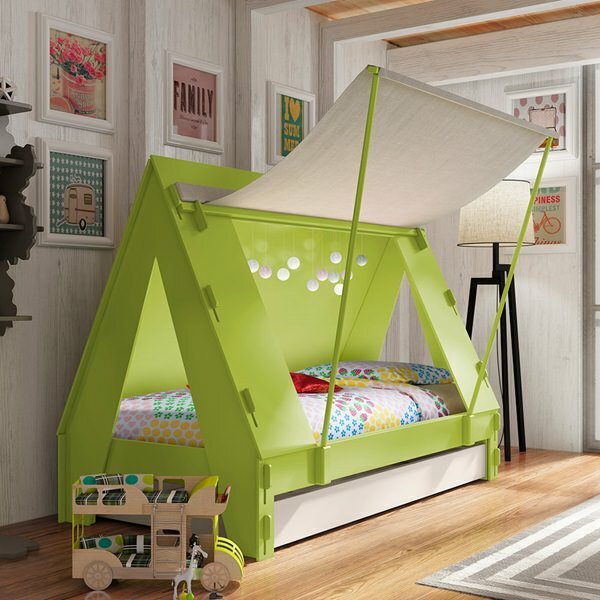 Win Green continue their excellent run of products with the Castle Floor Quilt and Organiser; the quilt will cushion those hardest falls like a maiden’s veil, while the organiser caters for the holy grail of the child’s playroom – that is, keeping bits and bobs out of the way until they’re needed. Both items fit nicely into our theme and can be customised with other products as you see fit. 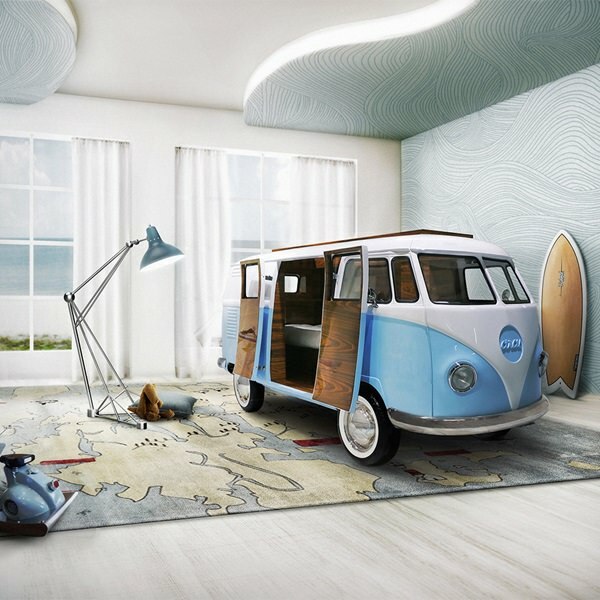 Such as the matching Bean Bag and Cushion Cover to really complete the picture! Adventures can be frightening, though. Monsters are a timeless aspect of childhood, and it’s safe to say that kids like being scared just a teeny weeny bit. 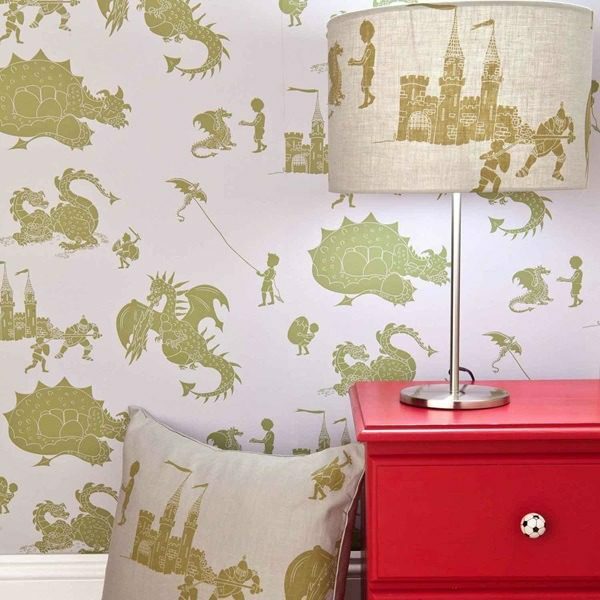 What better way to add some teeth to a bedroom than the ‘Ere Be Dragons Wallpaper by Paperboy Interiors? Available in four different colours (we recommend the deep red for St. George’s Day celebrations), this wall pattern depicts the most popular mythical creature of all time in a myriad of situations. What’s really clever about this funky décor is the scope of behaviour it allows children to deploy for such a fearsome beast: examples include taming and tethering it like a kite, offering it food, and obviously the standard fighting approach, encapsulating complex relationships in a stream of vibrant visuals. A knight without a horse is like a child without knee-scrapes. Here at Cuckooland, we have a number of options to get your kids in the saddle from an early age. If you’re not ready to invest in horse-riding lessons just yet, a rocker is sure to do the trick. 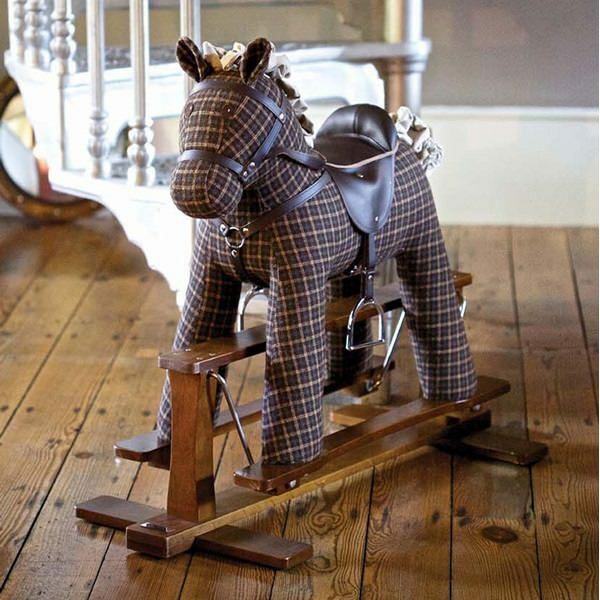 Toddlers will love the Tennyson Rocking Horse & Glider – a luxury walnut swinging stand that holds your noble steed, made from traditional cream and chocolate-coloured fabric. Its manufacturers, Little Bird Told Me, are free play experts, ensuring quality toys are kept at the forefront of children’s entertainment. 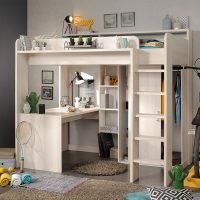 They know timelessness is key to getting the most bang for your buck, and there’s no doubt that children and adults of all ages can appreciate the craftsmanship in every inch of this product. As we celebrate St George’s Day on the 23rd of April, inspire your child to take a noble path in life. These suggestions will help shape the court of your child’s dreams. For all Saint George stands for – nobility, courage, the will to do good for the pure sake of it – there is another quality that is vital to all of the above: innocence. Children are able to soak up what’s great about life and treat it as if it will never go away. Holding onto that part of us, and encouraging it as early and often as we can! Ready to fly the flag for good old St George? 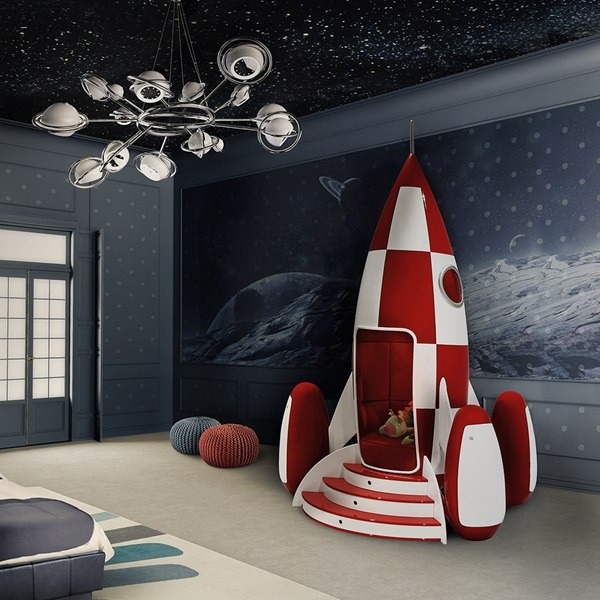 Browse our full collection of themed bedroom essentials in your quest for the ultimate kids bedroom. Our team is always on standby to answer any questions you may have – simply call us on +44 (0) 1305 231231 Mon-Fri 9-6pm or email customerservice@cuckooland.com and our super friendly team will reply immediately.